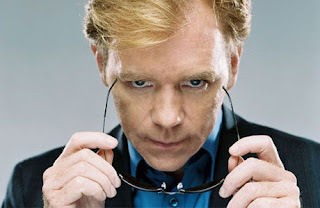 A couple of funnies about Horatio Caine, the chief investigator in CSI Miami. He is played by David Carusso. 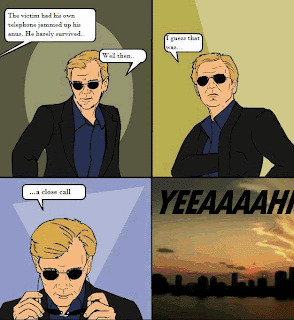 And then there is two below the belt comic strips to top it off. I've blogged about these as well, such a good laugh! why does he put sunglasses on top of his sunglasses?